Along with the high-end, luxury resorts came the appetite for fine dining on the Big Island, but the chefs and culture of delicious, satisfying food were here long ago. 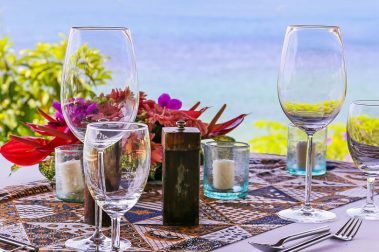 A perfect symbiosis of demand and talent means visitors to the Big Island are rewarded with unforgettable dining experiences from world-renowned, creative chefs. 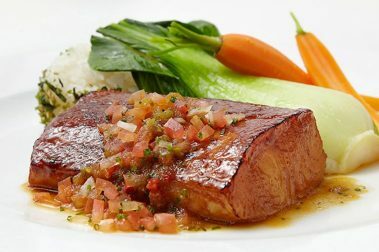 For Hawaiian style fine dining there 8 must try restaurants that will satisfy any and every visitor. Not feeling like eating the traditional hawaiian food? Don’t worry! 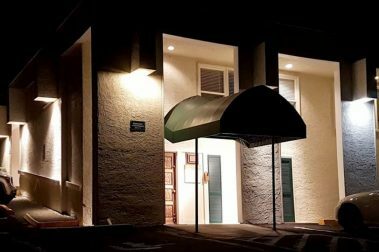 There are other fine dining opportunities on the big island; places lie La Bourgogne in Kona that serves a French menu made up of hand-picked ingredients. 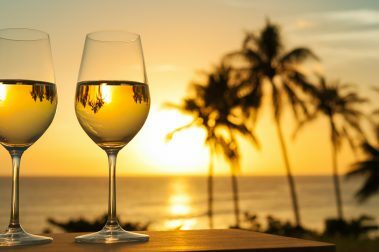 There are so many wonderful fine dining options on the Big Island of Hawaii you are sure to find something just right for you! 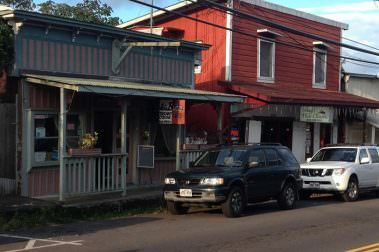 Huggo’s is a Big Island institution and for good reason – the food, drinks, and location are idyllic and uniquely Hawaiian. 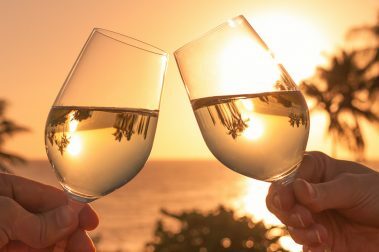 A unique dining experience overlooking Keauhou Bay, dinner at Rays on the Bay rewards visitors with fantastic views of manta rays. 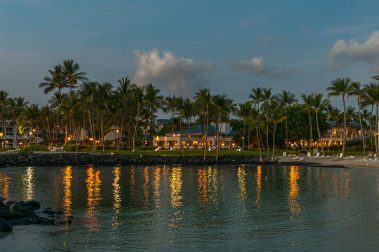 The premier dining establishment in the Mauna Lani Bay Hotel, CanoeHouse offers fine dining in a breathtaking Big Island setting. This Japanese Steakhouse offered incredible cuisine, however it is currently closed and is slated to be renovated into the new Binchotan Bar & Grill in 2019. 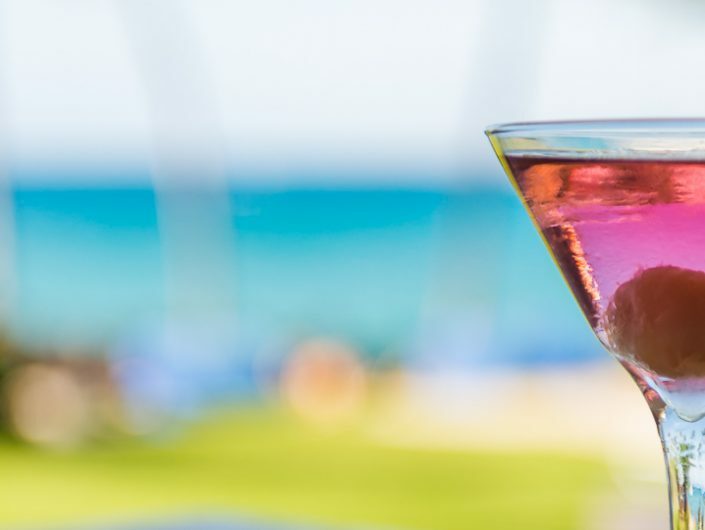 If you’re searching for a tasty mai tai or a Hawaiian concoction of epic proportions, these four establishments will keep your thirst quenched. If you’re celebrating a special occasion, book a private dining experience and create a beautiful evening you’ll remember forever. 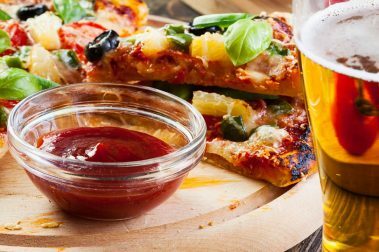 If you’re looking for a sophisticated dining experience be sure to check out these delicious fine dining restaurants. 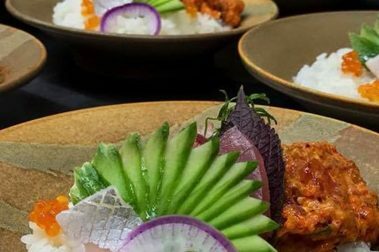 A locally-sourced Pacific Fusion restaurant with incredible, attentive preparation standards, Moon and Turtle is food the way it should be. 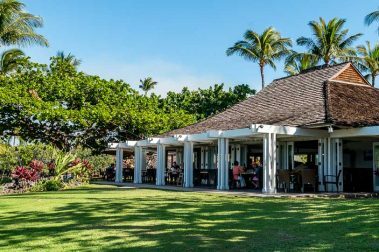 Enjoy incredible food, refreshing drinks and fabulous oceanfront views at these excellent Big Island restaurants. 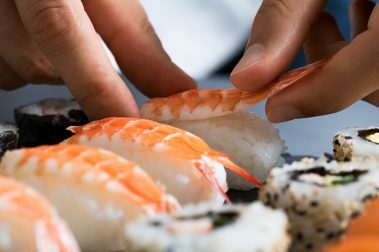 The Four Seasons is known for its high-end restaurants, but ‘Ulu Ocean Grill and Sushi Lounge only improves on that reputation. 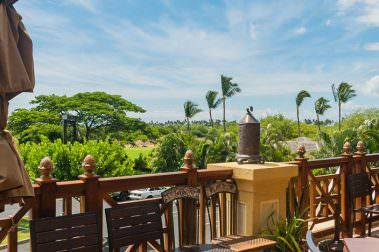 Positioned in the Mauna Lani Resort shopping center, Tommy Bahama Restaurant offers oceanfront views for lunch or dinner. 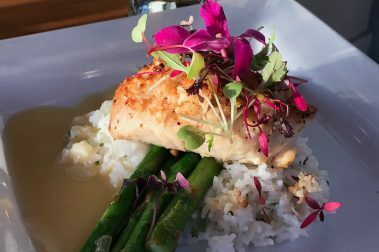 If you’re considering a Big Island vacation and want to take advantage of the top cuisine, look no further than the following fine restaurants. 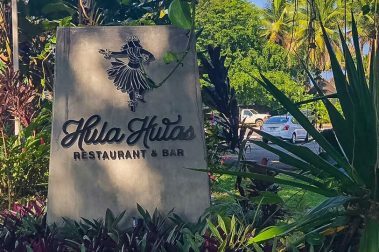 There’s no shortage of unique restaurants and dishes to try during a stay in Hilo, but these are some sure-fire favorites. 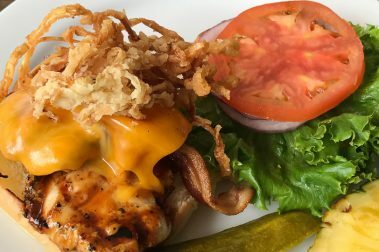 Serving up delicious Italian food right in the heart of Kona, Mi’s Waterfront Bistro is the perfect place to go for stunning views, a great outdoor patio, and amazingly delicious food and drinks. Pueo’s Osteria is a unique and delicious Italian restaurant located in the heart of Waikoloa Village serving up regional, seasonal, and artisanal food. 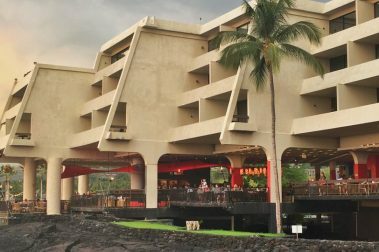 If you’re exploring Hawaii Volcanoes National Park, make sure to visit the Rim, a dining experience with impressive views at the Volcano House hotel. 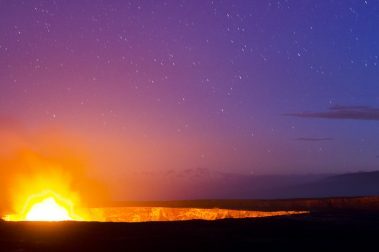 The Rim is the singular dining experience in Hawaii Volcanoes National Park, offering spectacular views of the Kilauea Caldera from the restaurant. An impressive dining option near Hawaii Volcanoes National Park, Ohelo Cafe makes for the perfect upscale meal while out adventuring. 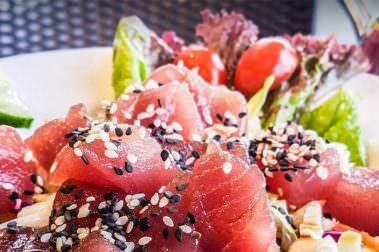 If you’re spending a day in Kailua-Kona and looking for memorable dining options, check out these excellent restaurants for an amazing lineup. 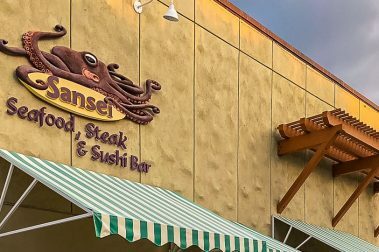 A small chain of seafood and sushi restaurants, Sansei is one of the most consistent and recognizable names in Big Island sushi. Among the best sushi establishments on the Big Island, Shiono Japanese Restaurant offers an incredible selection in two great locations. One of the few Italian restaurants of note on the Big Island, Paolo’s Bistro offers an excellent island twist on Italian cuisine. 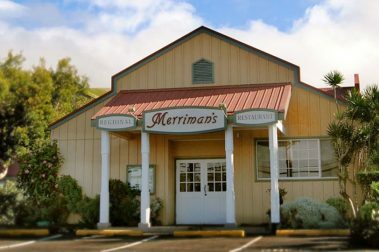 Likely the best regarded restaurant in Hawaii, Merriman’s has earned its reputation for organic ingredients and fine presentation. 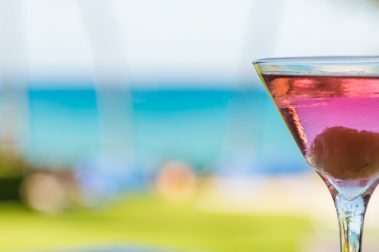 The crown jewel of the Mauna Lani resort, Napua offers locally-sourced fine cuisine on an oceanfront setting. 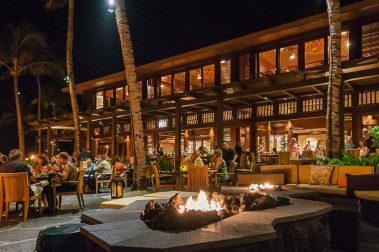 A memorable dining experience along the Big Island’s eastern side, Pineapples provides excellent seafood and American cuisine in a spectacular setting. 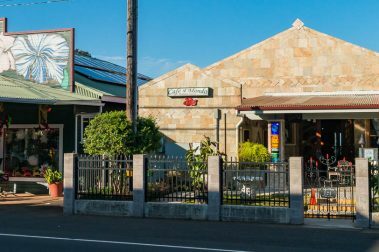 Good things take time, and that’s the philosophy at Holuakoa Gardens & Cafe Restaurant and the results are remarkable food, prepared with care. Classic and beautiful, Roy’s Waikoloa Bar and Grill is perfect for an upscale meal, a romantic evening, or cocktails in this gorgeous setting. 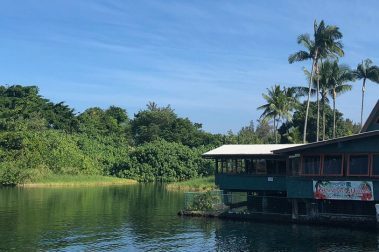 Hilo’s dining scene remains a strong and vibrant community, and there’s no better establishment for a lovely dinner than Ponds. 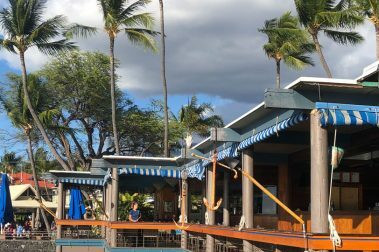 Recently opened in November of 2017, in the beautiful Grand Naliloa Hotel in Hilo, Hawaii, Hula Hulas is a classy, fun and enjoyable eatery full of great food, a wonderful atmosphere, and delicious drinks. 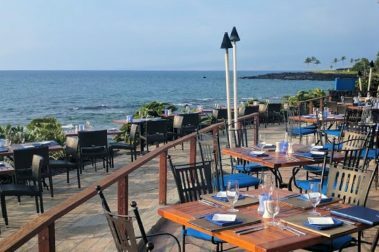 Among the best fine-dining establishments on the Big Island, Kamuela Provision Company is impossible to ignore. 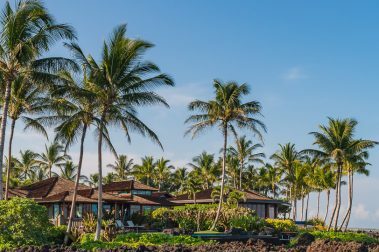 A prime restaurant within the Four Seasons Hualalai, the Hualalai Grille is an exquisite, luxury dining option on the Big Island. 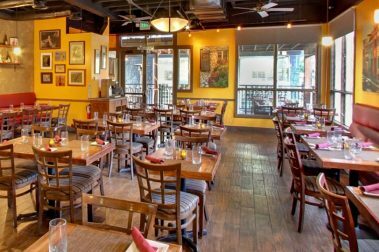 Beautiful and delicious, La Bourgogne is a traditional French restaurant with a Big Island twist. 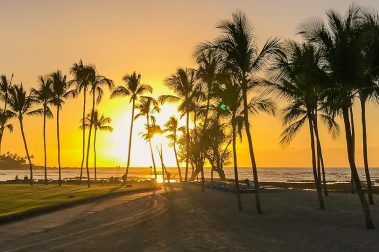 Positioned right along the beach in the Four Seasons Hualalai, the Beach Tree Bar and Lounge is the best spot to enjoy a Big Island sunset. 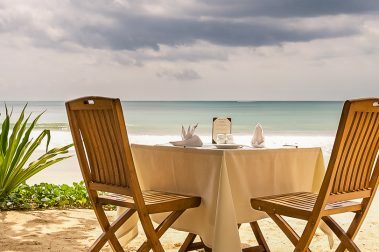 An exquisite dining option within the Fairmont Orchid Resort, Brown’s Beach House is hard to beat in the fine dining department. One of the Big Island’s best Italian restaurants, Cafe Il Mondo offers delicious tropical takes on Italian favorites.